Saudi Basic Industries Corporation is investing US$0.5 billion in four new technology and innovation facilities in 2013, two in Saudi Arabia and one each in India and China, bringing the total number of its research facilities around the world to 18. The two centres in Saudi Arabia are the Corporate Research & Innovation Center (CRI) at King Abdullah University of Science and Technology (KAUST) in Thuwal, near Jeddah, and the other, the Sabic Plastic Applications Development Center (SPADC) in Riyadh Techno Valley at King Saud University (KSU) in Riyadh. The CRI, scheduled for an April opening, “will seek to exchange experience and knowledge between the researchers at Sabic and KAUST, opening access to new technical competencies, blending academia with industry, tapping into new inventions made by academia, sourcing top talent and fresh ideas, and developing a community of excellence in upstream research,” said the firm. 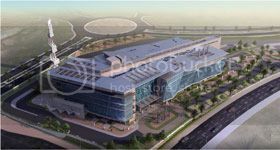 The SPADC, which is set to open in the second quarter of the year, aims to develop new applications and products that support Sabic’s business growth. Located adjacent to the Saudi Arabia’s largest university, King Saud University, it will enable Sabic to build closer links between academia and the industrial research community. The SPADC will focus on the automotive, packaging, consumer, construction, signage, and compounding sectors. It will work closely with Sabic’s other Technology and Innovation centres to achieve set targets, including training customers and employees. The centre will enable Saudi Arabia to enter advanced industrial fields, and support the National Industrial Clusters Development Program to develop industries such as packaging, automotive and machinery. It will help develop new plastics applications and extend technical support to local and international customers in various fields, including polymers, elastomers and speciality products. The centre in Shanghai will open in the third quarter of 2013. It will deal with application development, strategic business research and corporate research. Both the Bangalore and Shanghai centres will house 500 employees.